Opened in March of 2010 and is located centrally in the Sooke town core at 1-6726 West Coast Road (in the same plaza as Little Vienna Bakery, the Optometrist and Sooke Evergreen Physiotherapy). I am located just 1.5 blocks from the lights in the center of Sooke. (F.Y.I. Sooke Road turns into West Coast Road after the lights at the Otter Point Road X Street). 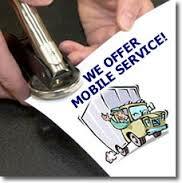 Mobile Service - now offered and available by request. I will travel into Langford, Colwood, Highlands and Victoria to attend to home or hospital visits. Please call for a quote for this service. Thank you. Seminars - upon request, I offer informational seminars about Wills, Powers of Attorney, Representation Agreements, and Advanced Health Care Directives. Please call Cheryl at 250-642-3318 if you would like to schedule a discussion and informational seminar for your club or group. There is no charge for this service. 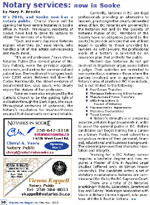 I have been published in The Scrivener Magazine (by the Society of Notaries Public of B.C.) and other publications. Powers of Attorney (for legal and financial matters). Representation Agreements (for health and personal care matters). Advance Health Care Directives (instructions to health care providers and family). Foreign minors (under 18 years of age) travelling to Mexico alone or with a third party of legal age (grandparent, aunt/uncle, etc.) as visitors (tourists or with a short study stay of up to 180 days), DO NOT REQUIRE authorization or a letter of consent from their parents or guardians. Mexican migratory authorities will allow these minors to leave Mexico upon presentation of a valid passport. Minors under 18 years of age (girls, boys, adolescents or those under legal guardianship) who are of Mexican nationality or foreigners holding the migratory status of Permanent Resident, Temporary Resident or Temporary Student Resident, need to present a NOTARIZED LETTER of consent from both parents or the minor’s legal guardians or those with parental authority, duly LEGALIZED by the Mexican Consulate or Embassy in Canada and TRANSLATED into Spanish. 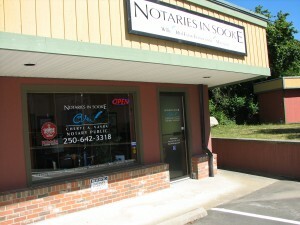 See my article "What is a Notary" in the Winter-Spring 2010 issue of MapleLine Magazine.